Instagrammers Are Freaking Out Over a Nonexistent Algorithm ChangeThere’s a bogus rumor swirling that Instagram now only shows posts to 7 percent of a user’s followers. Next Stop, Uberland: The Onrushing Algorithmic Future of WorkWhat the algorithmically managed lives of Uber drivers tell us about our future. Activate This Twitter Setting to Help Save What Remains of Your Feeble BrainSwitch to a strict chronological timeline. It’s Not a BugThe effects of algorithms are unpredictable, but not unintended. Instagram Isn’t Bringing Back Chronological FeedsThat algorithm is here to stay … no matter what the memes say. Facebook Decides to Let Users Vote on Most Trustworthy News Sources (Good Luck! )How could this possibly go wrong? Why Google’s New News Feed Competitor Might Work (and Why It Probably Won’t)Google might create an interesting news feed — but it’s not going to solve Facebook’s problems. After All That Complaint, Only 2 Percent of Twitter Turned Off the AlgorithmThe hand-wringing was a bit overstated. Editors Will No Longer Write Facebook’s Trending TopicsBut they’re still involved in curating stories. 4 Takeaways From Facebook’s Trending-Topics ControversyNothing is free of bias. 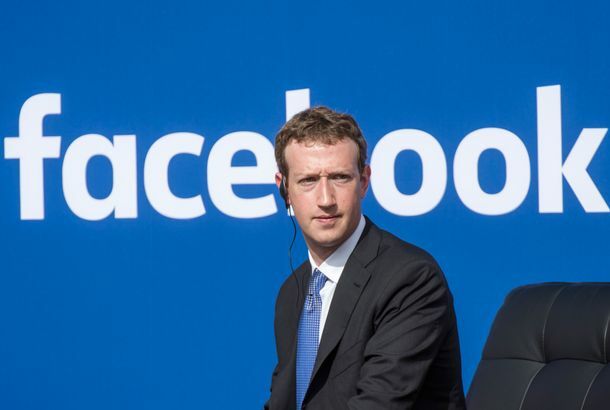 Facebook Needs to Grow UpFacebook wants all of the power, but none of the responsibility. The Secret Behind Facebook’s Trending Topics BarThe deadpan summaries are written by people acting as algorithms. This Machine Can Tell When You’re Drunk-TweetingNarc. Instagram Considers an Algorithmic TimelineAlgorithms for everyone. The ‘Algorithmic Timeline’ Is Here and It’s Fine#RIPTwitter was a bit premature. The ‘Algorithmic Timeline’ Will Improve TwitterMaybe an algorithm can make Twitter fun again.